Shopping for Finding Nemo / Finding Dory Coasters? 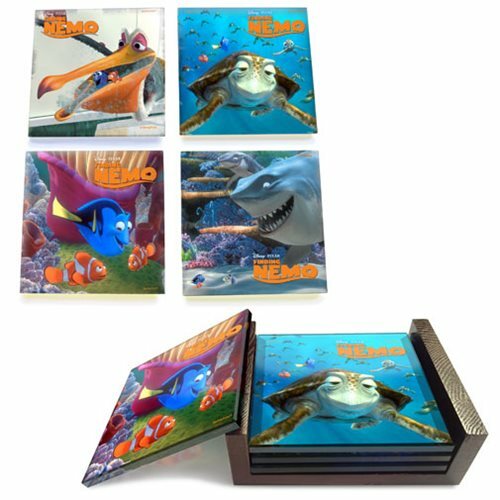 Protect your table with elegance and style with the Finding Nemo StarFire Prints Glass Coaster Set! The high quality glass coasters features imagery that is translucent and vibrant with color. The coasters measure about 4-inches wide x 4-inches long. Includes a stylish holder for easy storage! Makes a great gift for any Finding Nemo or Disney and Pixar fan. Hand wash only. Not dishwasher safe.